A well-known magazine, Travel + Leisure, announced Vail Resorts as a recipient of the 2012 Global Vision Award in leadership for its efforts in social responsibility and environmental stewardship.The award recognizes the efforts of individuals and organizations working to preserve the world’s natural and man-made features.In Summit County, Vail Resorts donated to 48 organizations including The Summit Foundation, Summit County Care Clinic, the Family & Intercultural Resource Center in Dillon, Friends of the Dillon Ranger District and Summit School District’s pre-collegiate program, said Kate Lessman, spokeswoman for Vail Resorts.”We accept the honor on behalf of our employees and guests who have helped us raise millions of dollars for forest health, build incredible conservation programs at all of our resorts and give countless volunteer hours in our local communities,” said Rob Katz, CEO of Vail Resorts. 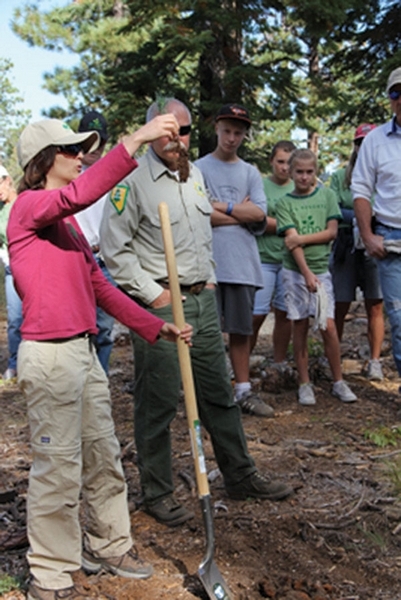 “Our resorts operate in some of the greatest most iconic natural environments in the world, and we are compelled to preserve them and inspire our communities and guests to be a part of this effort.” In the last year, the resort has contributed more than $6.5 million to nonprofits committed to creating a brighter future for local kids and to helping keep Colorado and Tahoe forests healthy.Vail Resorts has also prioritized making operations sustainable. Since 2008, the company has reduced energy use by 10 percent and has set a goal for another 10 percent reduction through The Next 10 program. Inspired by requests from employees to have a more robust volunteer program, Vail Resorts developed the new program called Vail Resorts Epic Volunteer, an extension of Vail Resorts Echo, the company’s corporate stewardship program that launched in 2009.Every year, Vail Resorts Echo donates more than $6 million to nonprofits throughout the communities in which the company operates, as well as more than 8,500 hours of volunteer time, with a focus on supporting youth and the environment.The Next 10 percent energy reduction goal for 2020 is to reduce energy consumption by an additional 10 percent.”Vail Resorts remains committed to reducing our energy use further both because it’s the right thing to do for the environment and also because it’s the right thing to do for our company,” Katz said. “We’ve already started working on this big goal – we are beginning The Next 10 with several projects and programs to help the Vail Resorts continue to operate more efficiently.”Achieving a 10 percent waste reduction stems from working toward zero waste throughout the resorts’ restaurants and water conservation at the various lodges.